So I get it…naming a transit station is not nearly as entertaining as naming the next British Royal. But it should be. Sound Transit’s East Link Extension design and station naming process is well underway. Ride the Wave! The City of Bellevue will be engaging stakeholders in further station naming efforts in the coming months before review with Council this Fall. Open Transit design…a design process that leverages all things open data, open source, open process…in the service of achieving successful, innovative and inspired community-centered design solutions…intrigues me. It, like many other “open” initiatives, engages community in fun, creative and unprecedented ways. I am trying to learn more about this. This is an interesting article by Peter David Cabaluzzi Faia, describing a new approach to transit design: Open Transit Design: Why Station Designed for Non-Transit Users Are Most Successful. Fresh approaches to engagement to like these have the potential to be transformative tools in urban planning and community development. Personally, for the 130th Street Station, I’m rallying for a name that stakes claim to this arts/cultural district rooted there. An ‘arts district’ station name seems a most appropriate station moniker. Perhaps a “Cultural Arts District (CAD)” Station. 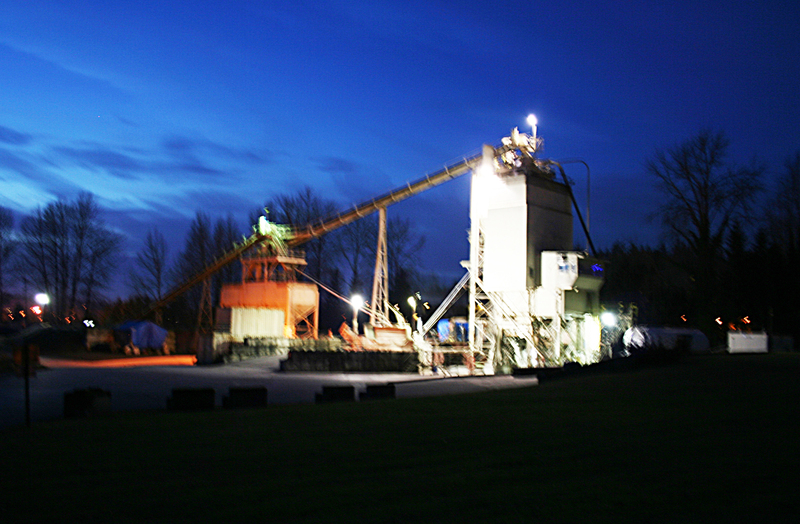 It’s proximity to the historic Cadman Concrete Hopper, Bellevue’s industrial icon, has added historical dimension. An Arts District Station moniker telegraphs the exisitng and soon to be rooted arts/cultural businesses in BelRed. 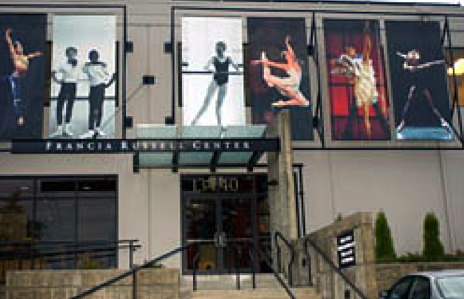 Donn Bennett Drum Studio, Bellevue Art & Frame, Mike Lull Guitar Works, Northwest Guitars, Evolution Studios, American Music, Mills Music…and the jewel in the crown, Pacific Northwest Ballet School/Francia Russell Performing Arts Center are all familiar Bellevue cultural assets anchored in East Bellevue near the 130th Street Station. The recent issues surrounding the route alternatives around the Pacific Northwest Ballet illuminate the critical importance of our anchor cultural asset situated in the heart of BelRed…a stone’s throw from 130th St Station. Building on this key cultural asset, with the right transit path and the right transit station name, will be critical to creating an our East Bellevue arts/cultural district. On July 31, 2013, King County is hosting Open House for the Eastside Rail Corridor at Bellevue City Hall. This informational event is an opportunity to learn more about how the region is working together to maximize the benefits of the rail corridor between Renton and Woodinville. 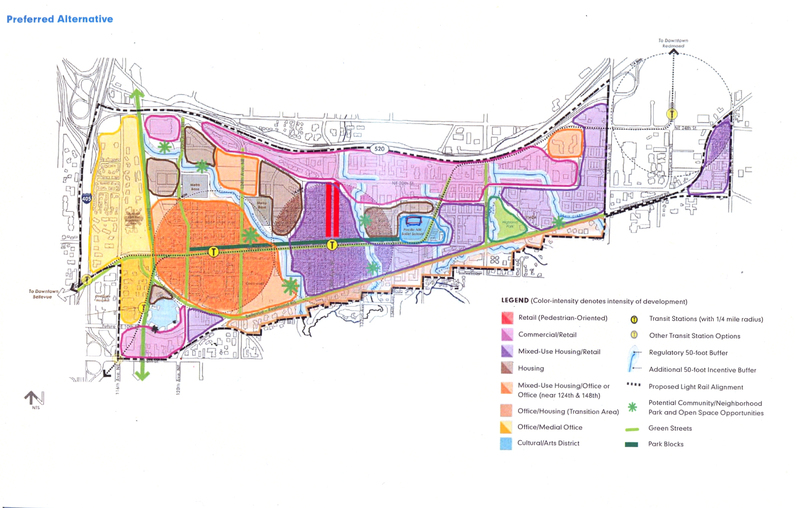 County staff will be on hand to answer questions, and comment cards will allow residents to share thoughts on what they would like to see for the corridor. ST has engaged the public in this process by offering surveys online for a short period of time around each open house during design open houses. 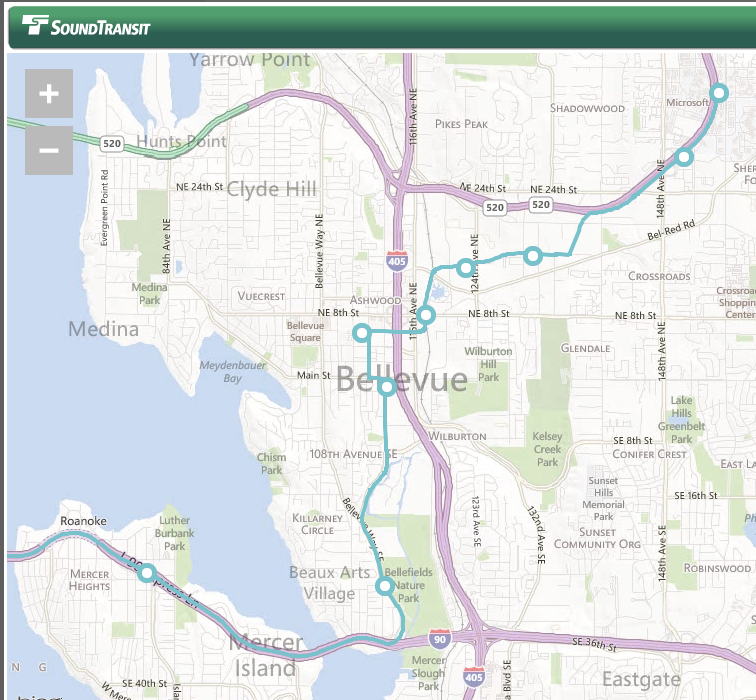 There are currently no online surveys available, but you can still send in your station name ideas to Sound Transit. That, and stay tuned for Bellevue’s stakeholder engagement opportunities too. I’ll keep you posted. If you are down with the idea of an Arts District in BelRed or if you have other naming ideas…WEIGH IN…at eastlink@soundtransit.org! ← Cultural Space…the Final Frontier!